Seafood is a healthful addition to our diets. Various types of fish and shellfish pack in tons of nutrients, such as omega-3 fatty acids, proteins, and disease-fighting minerals. So why don’t we eat more of it? In recent years, consumers have become increasingly interested in where the food they eat comes from and if it has been done sustainably. Sustainability has emerged as not just a trend, but also a way of life for many families hoping to make a change. f you’re looking to enjoy more seafood on a regular basis, follow these tips to enjoy seafood sustainably without feeling guilty. There are endless choices in the grocery store when it comes to seafood. However, consumers need to make a commitment to checking the label if they want to enjoy seafood sustainably. If a product is certified as sustainable, it will have a distinctive marking on the package. While some labels will vary depending on the country, a common mark of sustainability in North America and the UK is the blue label from the Marine Stewardship Council – a trusted marking we should all look out for. Usually, a product with this marking will cost you a little extra. However, when we all make sacrifices, we can promote change to achieve a common goal. We are all guilty of this! It’s human nature to stick to what we know, and this is even more prevalent in the seafood we eat. Americans, for example, buy the most frozen shrimp, canned tuna, salmon and tilapia in the world! While these 4 types of seafood are certainly delicious, there are many different options to explore. Another way to enjoy seafood sustainably is to diversify the seafood you consume, and buy local on occasion if possible. This point calls for some distinction. The traditional, coastal way of fishing in the wild is sustainable, but unfortunately the commercial fishing industry has become a far cry from these humble beginnings. Modern commercial fishing uses massive ships that can store thousands of fish onboard in large freezers. This kind of fishing has also decimated the ocean's ecosystems, with 90% of large fish populations being exterminated in the last 50 years. Fishing in the oceans is simply no longer sustainable anymore, which is why fisheries and other sustainable ventures are gaining recognition on the global scale. According to health guidelines, we should all be eating seafood at least twice a week, if not more. 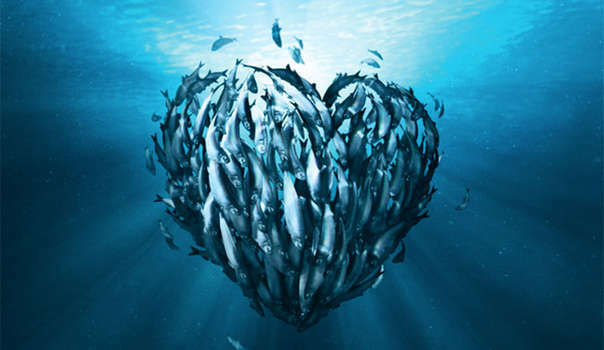 By following these tips, you’ll be able to enjoy the seafood you love - without worrying about the future of our oceans and ecosystems. If you would like to donate in the future of our fishery or donate to our habitat enhancement initiative, please contact us here. A gold medal in sustainable aquaculture for the Rio 2016 Olympics!